Adobe After Effects is considered one of the leaders in visual effects and composition editors, but even though it is a relatively affordable program, it still is not priced for the average small-time filmmaker. 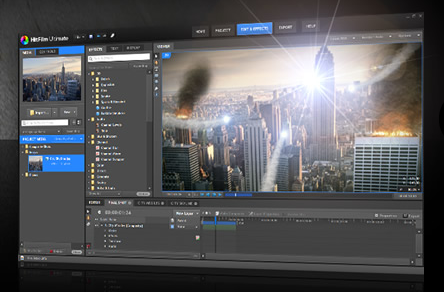 Enter HitFilm, a VFX and editing software priced comfortably within the range of most YouTube filmmakers. There are two options depending on your workflow needs. Standard comes in at $149 and Ultimate at $399. The guys at Corridor Digital produced a great short sci-fi film, “Prism” to demonstrate some of the features available in HitFilm. Check out the film bellow along with the BTS of how HitFilm was used.